An introduction to the world of amateur radio. Everyone has heard of ham radio, but do you actually know what it is? Recently, the idea of amateur radio caught my attention, and I decided to look into it a bit and see what it's all about. 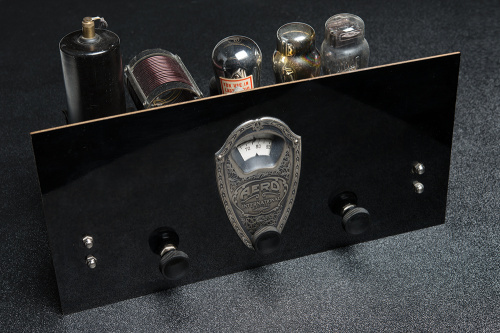 The short answer is that from the creation of the first radio wave, people have been playing with and modifying radio waves to send information. Whether it's an FM music station, AM talk radio, police and fire radios or your WiFi connection, radio waves are all around you. Q: What is the purpose of amateur radio? A: Other than talking to and meeting new people and learning new technologies? While I rarely do this I'm going to quote federal regulations. FCC Part 97 is the federal regulation that defines amateur radio. Basically, it includes making friends around the world, learning, and helping others. a) Recognition and enhancement of the value of the amateur service to the public as a voluntary noncommercial communication service, particularly with respect to providing emergency communications. b) Continuation and extension of the amateur's proven ability to contribute to the advancement of the radio art. c) Encouragement and improvement of the amateur service through rules which provide for advancing skills in both the communication and technical phases of the art. d) Expansion of the existing reservoir within the amateur radio service of trained operators, technicians, and electronics experts. e) Continuation and extension of the amateur's unique ability to enhance international goodwill. Q: How does amateur radio help others? A: Whenever disasters hit, communication becomes a big issue. With power down and cell towers not working (or overwhelmed), amateur radio operators will step in to help coordinate disaster relief. Ares and RACES are two organizations that work together to provide vital communication during these times. If you are looking for a way to help during disasters (think hurricanes, not zombies), consider getting your license and working with one or both of these organizations. Q: What does the FCC do? A: If everyone was allowed to transmit on any frequency they wanted at any time and at any power, we would quickly run into problems. 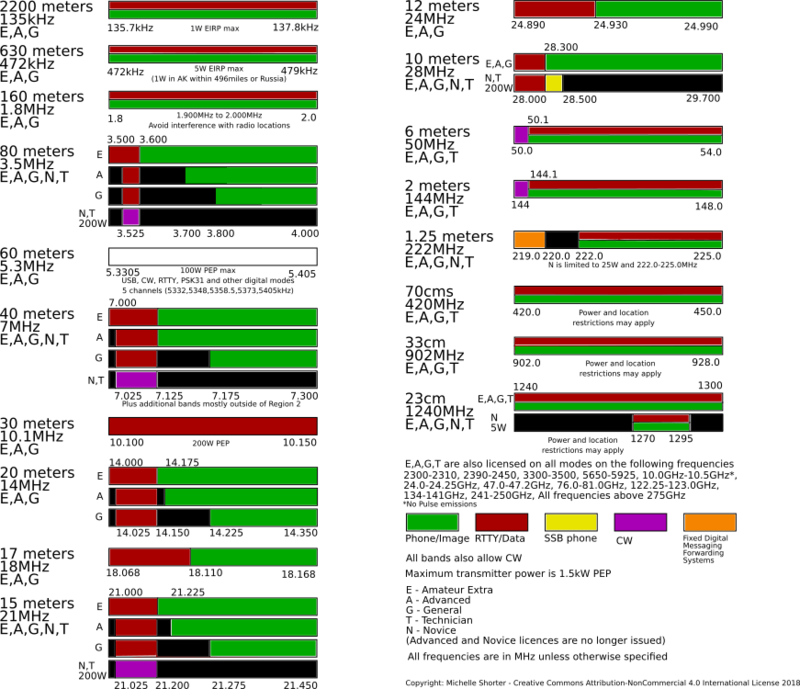 The FCC has broken the radio spectrum into bands and allocated different frequency bands for different usages. While the FCC determines what frequencies can be used for what purpose, the amateur radio community, for the most part, self polices protocol and etiquette within those bands. Here is a quick visual summary of the different bands and which licenses are required to use each band. Q: Why do I need to get licensed, and what is the process? A: The license procedure is fairly straight forward, and mostly makes sure you know what you are doing before you are allowed to transmit on the air (you do not need a license to listen). Your license is also what gives you your call sign so you can identify yourself over the air. There are currently three different licenses available. The Technician license is the most basic license and also the most popular. This gets you on the air on some of the most popular frequencies, mostly in the UHF and VHF range. The General license allows you access to most of the HF frequencies as well, and the Amateur Extra license allows you to transmit on any amateur frequency. Each license requires you to pass a test (as well as having passed all the previous tests). The entire pool of test questions is publicly available, so there shouldn't be any surprises when taking your test. Various organizations administer the test on a regular basis all over the country. You usually have a $10-$15 fee for the test (you can take all three levels at once for that price). They then submit your results to the FCC, and you get your license in a couple of weeks. Q: What about Morse Code? I really don't want to learn Morse Code. A: Morse Code is no longer required for any of the licenses, so you are in luck. Many radio operators still enjoy using Morse, so you may still come across it, but it is not necessary. While I don't know Morse Code (yet) I am working to hide it in random places, like blog posts. Q: What does SparkFun do with amateur radio? A: We actually have quite a few hams around here. There are about 800,000 amateur radio operators in the U.S. (about 0.2 percent of the population), but here at SparkFun we have at least eight hams, with another few who are looking to get licensed. 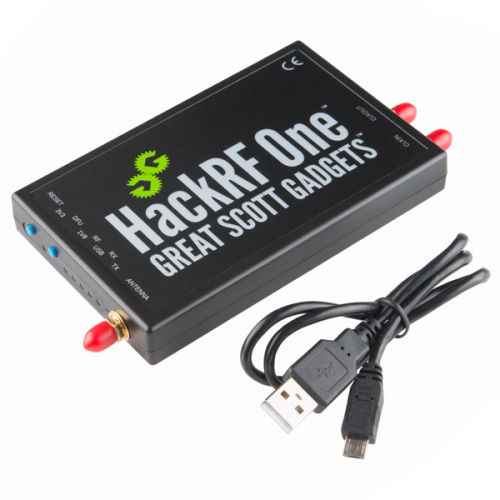 We also carry a few different ham radio products, such as the Hack RF, the bladeRF x40 and the HX1 APRS Transmitter, and many of our other RF products operate in amateur frequencies (not to mention that amateur radio has always been about tinkering and building things – something we are pretty good at). Ironically in Canada they call it bacon radio. I can't believe I haven't heard that joke before. It's hilarious! I've never heard that term in 30 years on the air, and I've spent significant time in Canada. I think the comment was more directed at the fact that Canadian Bacon and Ham seem to be the same thing (at least by what is sold under those names in the US). Thank you for bringing up Ham Radio. I've been a licensed operator for twenty-five years now as N0YHR. I too am from Boulder where my Dad studied Electrical Engineering. His Master's Thesis was on theoretical digital electronics. His professor refused it, and my Dad being who he was refused to rewrite it on a more mundane topic. His journey into Ham Radio began in 1942 when he wanted to learn electronics. At sixteen years old, he became the youngest Extra Class Ham in Colorado; W0MNY. His older brother had gone off to the Navy, and my grandfather enlisted for his second World War leaving my Dad at home with his mother. At seventeen, he got his parents to sign the papers allowing him to join the Navy at that age, and soon the entire family was in the Navy. My father served as a Radar Technician, but due the the newness and secrecy of the technology, and the target for interrogation he would become if captured, he wore the insignia of a regular Radio Technician. Poised for the invasion of Japan, his ship, the USS Cabildo, and countless others were offshore when the Japanese surrendered. His and a few other ships rescued the first Japanese prisoners of war only to nearly sink in a typhoon. For nearly a year, his ship visited many Japanese cities including Nagasaki and Hiroshima. He never talked about those experiences, but I saw his photographs; eerie to say the least. There are great repeater organizations in Colorado that will allow you to check on friends and family all over the front range, and in other locals. The same is not true in north Florida, and the airwaves and usually quiet. There was a somewhat similar story about cell phones in Northern Arizona a couple of months ago, though the repeater was further away and not in danger (this time!). Hams were able to spread the word about an evacuation, and credited with thereby saving at least two lives. It got the notice of many officials, including the Governor, who issued a proclamation making the last full week in June (selected to include ARRL's Field Day) "Amateur Radio Week" in Arizona. A bit of history about the repeater in question: Several years before, there was a situation where due to mountainous terrain, crews were having problems with communications Hams were able to set up portable repeaters to solve this problem. This got the attention of the head of that National Forest. Some months later, the FBI was moving out of a communications site in the same Forest. There was a log list of Federal agencies who wanted that site, as well as a Ham club. The Ham club was at the very bottom of the "pecking order", but the head Ranger decided that given the recent history of Ham service, it was more in the interests if the Forest to give it to the Hams! There are so many things going on! It's not just a bunch of old guys yacking at each other endlessly on HF, but if that's what you're into, it's certainly there. Morse code might be what the general public most associates with Ham Radio, and it's still very much a thing, it's just no longer required for getting your license. Opinions vary on that, but I personally think the removal of this requirement has been a big plus. I got my license so that I could experiment with VHF and UHF radio. Since then, I've been an active member of The Seismic Precursor Network in LA, fire and emergency service in Dutch Flat CA, where I also got my start in packet radio (digital comms over VHF and HF radio). Later I ran the Skywarn program in Delaware county indiana, using APRS and Slow Scan TV to greatly enhance our ability to manage spotter resources in the field and to assist the National Weather Service and we saved lives. Hams in the Boulder Colorado area are doing amazing things. We aren't allowed to broadcast or play music, or to send "adult content" or encrypted data (unless we publish the key) or to send messages in exchange for compensation. My experience with Ham Radio has served me well professionally, in the development of products involving radio. Antenna design at 2.4 and 5 GHz is very hot right now, and I've done a lot of that for various companies. Right now, I'm designing radios near the ham 630 meter band. A recent acquaintance: http://async.org.uk/Hans-Schantz.html Hans is doing some very interesting things at a very deep level. how about anything DMR - digital mobile radio. check out hotspots and repeaters. that SDR radio needs an amplifier to get on the air. Great article. I am sitting here reading it as a fairly new HAM, KD2QBH, programming a hand radio with nearby repeater frequencies. I started this journey for the purpose of being able to use FPV gear legally but came from using SDR's to listen on HAM freq.s and pull data from satellites (Outernet/NOAA). I chose to go to a class given by a local club to make sure I could get my technicians license before the July change in the question pool. All I can say is that it was a great experience and the club members (my Elmers) were awesome and they totally persuaded me to go much farther. They encouraged me to go for more then the tech class at the same time and on test day I earned a General class and got pretty far on the Extra test despite not having studied for it (and I am no honor student). I WILL get that Extra class license, BTW ;). You can certainly earn a license on your own but, I highly recommend finding a club to walk you through the first steps; in most cases you don't have to join the club and classes are normally free (tests sessions are not though). But once you've met them, you will find their knowledge, experience and enthusiasm for amateur radio quite compelling. There is definitely something for everyone in Amateur Radio. KF7MBK here. I've never been into HF stuff (long distance), I typically stay on UHF/VHF/900MHz repeaters. Here in Arizona we have a great organization (AZ Repeater Assoc) that maintains the largest repeater network in the state. 36 repeaters at 13 different sites. The reason I mention this is because I find working with them in maintaining the equipment (all volunteer) is just as much fun as using my radios. Work involves getting access to places you wouldn't normally have access to, off-roading, and electronics! I actually joined to learn from these really smart people and now I am site engineer for one of our locations. I also got my tower climbing cert and now I'm one of the two tower climbers. Check out some videos I made.. Anyway, it's just another aspect of Ham radio that may be of interest to people. For help in finding local clubs, books ranging from study guides for the exams to some extremely advanced subjects, opportunities to take the exam, and much more, check out the website for the American Radio Relay League (the ARRL is the "national club" in the U.S.). Another definition is that Ham Radio is the internet and cell phones without the providers. Back in 1984 or so, I set up an HF packet radio station and had a conversation that looked very much like something from a modern chat room with an Italian operator from my North Carolina home on my first try. So I had a keyboard/display interface, digital data and international reach, but without wires, routers or charges. Of course, it was only 300 baud, but who types faster than that anyway? Using packet store-and-forward systems is like e-mail, but again there's no ISP or charges. About the same time I was playing with packet, I was up on a mountain top one day and wanted to let my wife know when I was getting home, so I accessed the Raleigh repeater (125 miles away but clear in line of sight), brought up their phone patch, dialed my landline and was talking to my wife. This was the year the first mobile phones went on sale in the US for $4000 each. I was using an established ham radio network to call home on a $125 handheld. Ham radio will also help you with your wifi and cell projects. How would you like to extend your wifi range to miles? Ham radio skills will let you build a directional antenna that will do just that. How would you like to concentrate the power from your cell so that you always have max bars? Again, it's it's as simple as attaching a better antenna. So jump in and learn about this radio service that is free and totally relevant to the modern world. You can use it to prototype your next killer product, just the way it was used to prototype today's daily technology. and have a LOT of fun. Ham Radio based systems can stay up "when the going gets rough" -- for instance, when a natural disaster hits. Can't say the same thing for the ISPs. The best thing about Ham radio is that there is something for every Ham and Hams for pretty much anything you want to do. If you like making, electronics, communications, tinkering, yakking, computers, helping, community service, or collaborating, you can find it in Ham radio. I have spent endless (fun and frustrating) hours with a friend developing linux scripts to easily set up and configure a complete packet BBS system on Raspberry Pi. There are Ham radio clubs everywhere. Some are great, some are hard to fit in to, I'll be honest, but generally they are worth checking out. Getting a license is not difficult. With some study it's very achievable, and many clubs offer classes that start at the beginning and teach you the basics so you you have a better chance at understanding what it is you are doing (if you don't already). If anyone here is thinking of getting their license but are worried about the test, don't be! It's pretty easy to get your Technician license and you can take all 3 tests in one session if you finish the first one and feel emboldened! Also, check your smartphone's app store for study aids, there are some really good ham radio practice test apps out there. One quick tip: If you're stuck on one of the "rules & regulations" questions, try to apply this rule and see if it helps: In an emergency, you're allowed to do whatever is necessary. Indeed. It's an entrance exam, not a final. :) You're allowed to pass at 70% correct. We want you IN the hobby! :) When I originally was licensed, I had to get the 5WPM code, and wait for my Novice license to come in snail mail. The day it arrived, I went to one of the MANY weekend exam sessions in LA and upgraded to Tech. I stayed at Tech for a long time, but the day they dropped the code, I went in and took my General, Advanced, and Extra exams. Walked in a tech, walked out as an extra. But I have kept my novice call, as it took me a long time to get it, and I figured I'd just keep it. Can I underline the "...take all 3 tests in one session..." part? You should always take all three. Worst that happens is you only pass the ones you're ready for. Best that happens is you're ready for more than you expected! However, I don't feel it should be a requirement for an amateur license. There are too many worthwhile things to do with amateur radio that don't require code. That said... don't write off Morse as obsolete. Transmitting equipment for Morse code is almost trivially simple -- which means it's also light, reliable, and power-efficient. Portable operation in remote locations is popular, and Morse makes it much easier. ("Islands on the Air" and "Summits on the Air" are things...) For many of us, it's just plain fun! Depending on the test administrators, you may or may not be able to take all three in a given session. According to the FCC, you can take a test, fail, and immediately retest as much as you like, and you can take any and all tests in one session, but your local VEC examiners may not allow it due to time or other issues. Good point. Also keep in mind that the questions for the Technician test changed at the end of June, so make sure the test questions you have are the current version.